Oh, the joys of living in England- they never cease. 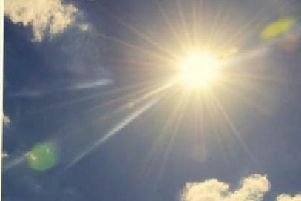 The good news is it’s about to get really hot, hotter than yesterday- with temperatures peaking at 31C and glorious sunny spells, according to the Met Office. Unfortunately... this will be short-lived. A Yellow weather warning has been put in place with the region at risk of torrential downpours, thunder and even some flooding. The weather warning is valid across Nottinghamshire and Derbyshire until 8pm tonight, which could be extended. Residents advised to take care and stay alert, particularly during rush hour when rain could be at its heaviest. Keep checking back for the latest updates on this.